Posted byFrancesco	 January 10, 2015 January 24, 2015 Leave a comment on So you want a lot of internet traffic on your website, don’t you? Hit4Hit.org Does what the name suggests. 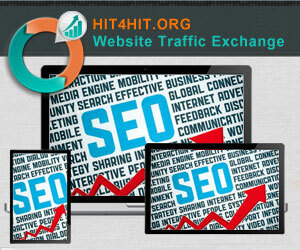 It counts the traffic that you produce in the sites of others and allow you to collect points. You can then spend these points for having others watching your pages. They provide an automatic way to visualise pages and a manual way. They provide some games for making the experience more enjoyable. You can exchange banner too. So you want to be social, have a lot of followers or likes. don’t you?